LILLIAN LUTHOR: Lillian is shown to be very much like her son, Lex; cold, self-righteous, unstable and delusional in her views. Blaming Superman for her son's imprisonment, while completely ignoring the horrific actions Lex performed, she has come to develop radically-driven disdain for aliens of all kinds. Viewing them as a poison to Earth, beings who are subtly taking control of the planet by making humans worship them, she is determined to purge Earth of these otherworldly-forms. To that end, she takes over Project Cadmus, a secret lab that studies aliens, and severed its relationship with the government. 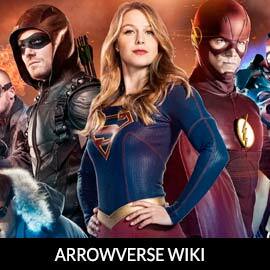 For more information on Lillian, check out our partners at ArrowverseWiki.